We’re hiring 2015 Team members NOW. Call the office at 540-672-2542 or send an email to debbie@naturalcapital.us to be a part of one of the toughest and most rewarding jobs around. 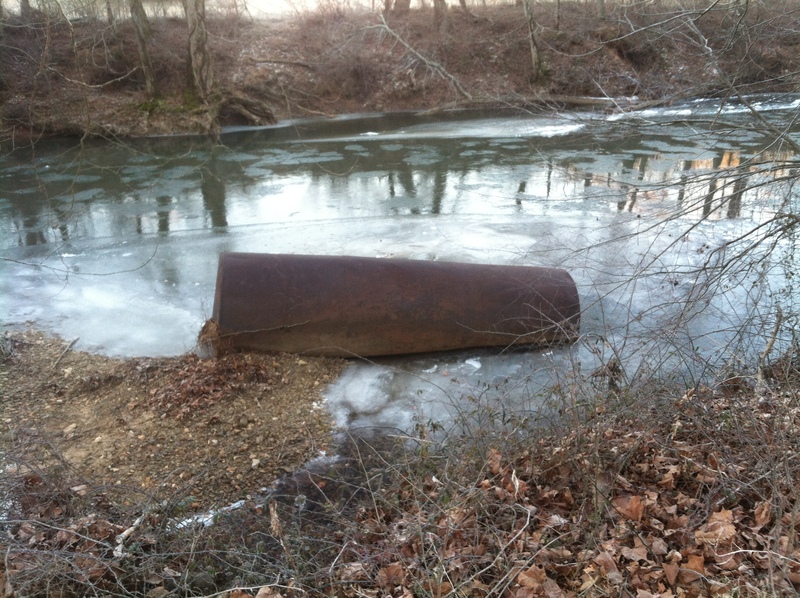 During the 2014 season, Sweepers found several large tanks on area rivers too large to be extracted with boats (see below). 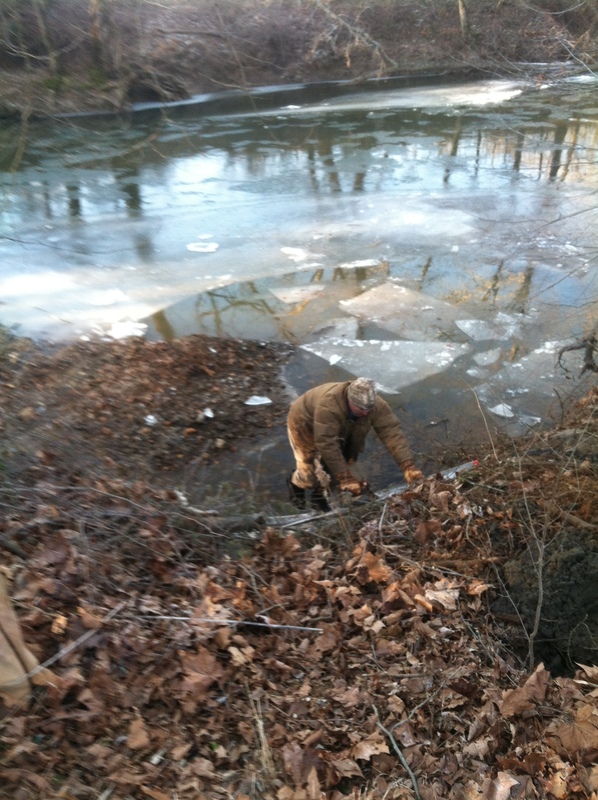 After months of planning and waiting for the ground to freeze, on Saturday, January 10, Sweepers with Partner Contour Construction, LLC (Mark, Jamie on excavator, Lee on drove dump truck, and Danny) mobilized at dawn to begin extraction of a very large (~4000 gallon) tank from the Robinson. As usual, things did not go exactly according to plans. 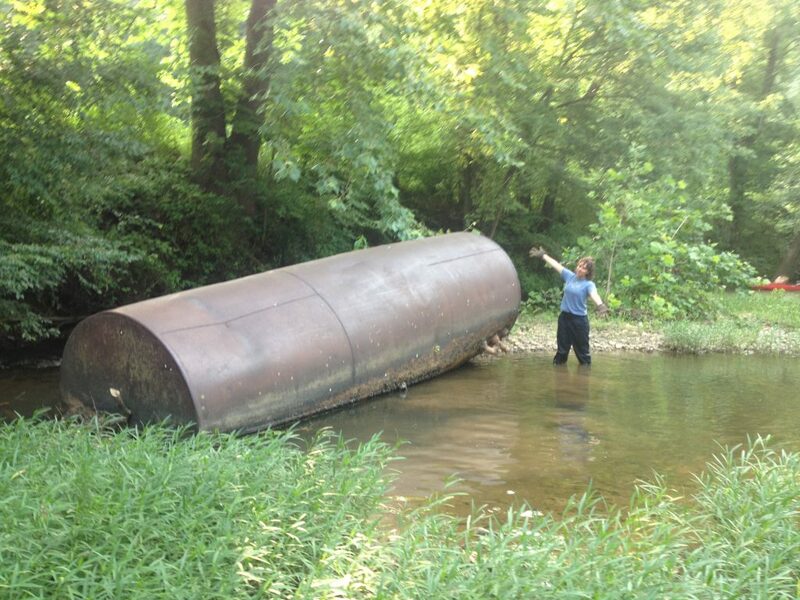 With lots of ingenuity and hard work, shortly before midday, the last section of tank was hauled off the property leaving the bank in much improved condition. Thanks to landowners Tom and Dawn Miller and to River Stewards Mark and Ann Kington for helping to make this extraction possible. The short video below shows the effort that went into removal. Turns out the tank was pitted on the bottom and filled with sediment. StreamSweepers Landowner Outreach Manager – StreamSweepers is a nationally recognized river maintenance service staffed by young adults from Virginia. StreamSweepers is a workforce development program of the Center for Natural Capital, a growing non-profit company using business to heal nature. Center employees work within a horizontal structure, equally sharing the risks and rewards of their entrepreneurial journey. We’re looking for someone with passion for building markets to restore nature and for the day to day work of enrolling riverside landowners in the Sweeping and Assessment of their frontage. This is a salaried position beginning immediately and likely lasting into spring. The geographic area is the Central Virginia Piedmont. Learn more at www.streamsweepers.org. Pls. send cover letter/resume to Michael Collins @ mike@naturalcapital.us or call 540-672-2542 for more information. On January 1, an anonymous donor provided generous financial support for this year’s goal of cleaning and assessing 80 miles of river valleys in the Rappahannock, Rapidan, Hughes, Hazel, Conway, and Rose watersheds of Central Virginia. This support already brings the program 10% of the way towards its goal of $150,000 in riverside landowner fees and watershed philanthropy. 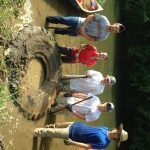 The Center for Natural Capital has launched this new website specifically for the StreamSweepers program. We will be adding new content in the weeks ahead. Thanks for stopping by. 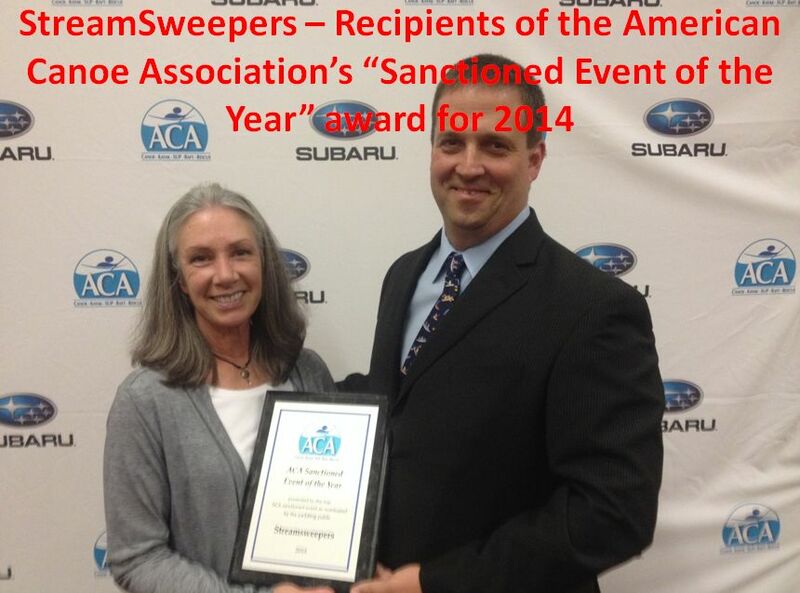 For more information on StreamSweepers, contact Outreach Manager Buzz VanSantvoord at 540-661-6283.